Black peppercorns – 4 nos. Coriander leaves – 2 tblsp. 1.) Wash and soak the horsebean lentil in water for 3 – 4 hours before the start of preparation. Drain out the water when starting the preparation. 2.) Grind the horsebean lentil into a fine paste using very little water. The paste should be of pouring consistency and not very thick. 4.) In a kadai, heat oil for frying. When hot, with the hand, pour medium sized balls of the batter for frying. The wadas should not be very large, as they will not get cooked in the centre. Fry till the wadas are golden in colour. 6.) In a separate container, beat the curds with water to form a thick flowing paste. Remove the wadas from the water lightly squeezing out the excess water without breaking the wada. Dip each wada in curd. 7.) Place the wadas on a plate and top it again with beaten curds. 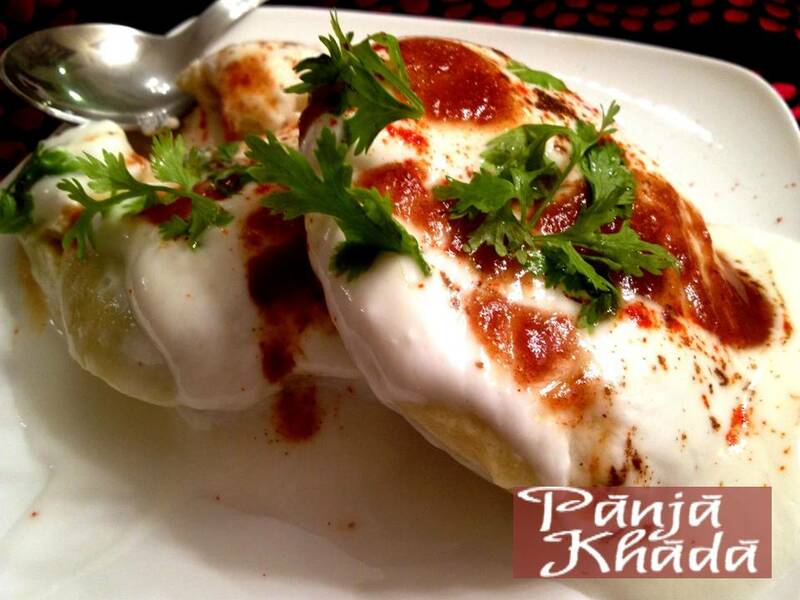 Garnish with red chilli powder, cumin powder and finely chopped coriander leaves. ½ tsp. each of Dharan ji chutney and Mithi chutney can also be added as a topping. 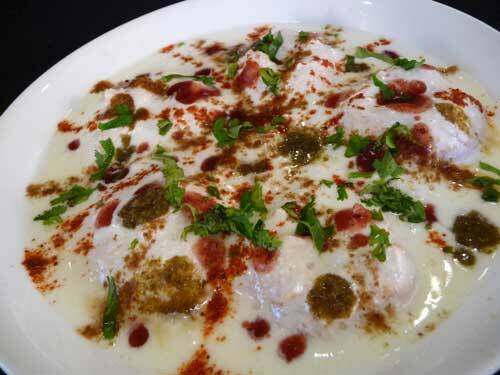 Dahi Wadas are served chilled. They can be served as an accompaniment to any of the meals and can also be eaten as an any time snack.